June 10, 2016, 9:45 a.m. The British paper is unveiling the latest iteration of the tool, Roboblogger, for the European Championship, which kicks off Friday. By Joseph Lichterman @ylichterman June 10, 2016, 9:45 a.m. In the 79th minute of last fall’s Rugby World Cup Final, New Zealand fly-half Beauden Barrett scored a try to ice the All Blacks’ victory over rival Australia. 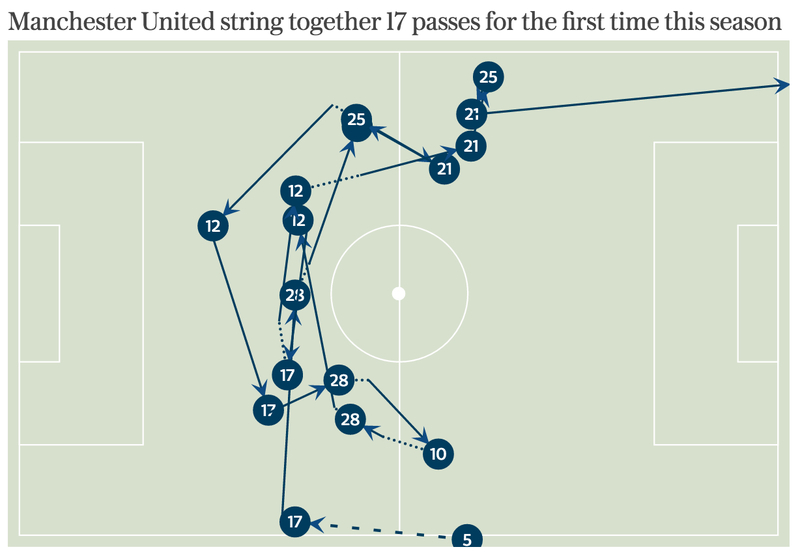 Seconds after Barrett downed the ball, a graphic mapping the score appeared in the live blog that the British newspaper The Telegraph was using to cover the match in real-time. The infographic was produced by Roboblogger, an experimental project the British newspaper launched last year to use real-time data to create charts and infographics for liveblogs. Roboblogger ingests real-time statistics from Opta, a U.K. sports data firm, then spits out graphics and charts. For the Rugby World Cup, the graphics showed how each team scored from various points on the field, the number of tackles they made, the distance they carried the ball, and more. Telegraph editors and reporters got the graphics and charts in a feed and added them into the liveblog manually. The Telegraph has now transitioned to focus on soccer, a more popular sport with richer data to analyze. It will roll out the latest version of Roboblogger for its live coverage of the European Championship, which kicks off Friday in France. The paper is now working to further streamline Roboblogger by developing automated processes that determine the most interesting or significant plays and add them straight to the liveblog, so staffers can focus on their own commentary. The Telegraph received a €300,000 (USD $342,222) grant from Google’s European Digital News Initiative to create Roboblogger. The paper announced cutbacks last month, but the Google funding enabled it to hire three contract employees for a six-month period that runs through September. After that, The Telegraph plans to integrate Roboblogger into its normal editorial operations. The Telegraph decided to focus its efforts for this type of coverage, at least for now, on sports because there’s an abundance of well-structured data. The paper is using a two-pronged strategy to build out Roboblogger’s automated selection process. It’s developing a rule set that triggers the creation of a chart along with a more advanced rankings system. For the rule set, the developers established various metrics that prompt infographics or charts to be presented to the editors. After a goal is scored, for example, a graphic is produced that shows all the passes and runs that led to the goal. Roboblogger is also able to set rules for less obvious data — a certain number of passes in a row or a specific distance covered on the field — and turn those into graphics as well. To help staffers decide which graphics to include in liveblogs, developers are building an interface that will show numerous graphics at once and indicates — with color or some other sign — which ones might be interesting enough to be auto-published. The rankings system, meanwhile, is being developed to include a more nuanced understanding of player performance. Pelzer compared it to Google’s PageRank, which uses different factors to measure the importance of web pages. The Telegraph’s ranking system assigns scores to each player, and it’s able to pick up on things that the simpler rule-based approach wouldn’t notice. If a player who hasn’t done particularly well in a competition suddenly starts doing better, for example, that sudden movement could be a signal to start increasing the likelihood of sharing graphs where the player is involved. The finished product will ideally combine the rankings and rule-based approaches. The Telegraph hopes to add in the ranking system in August when the new Premier League season starts. At that point, editors will be able to set up parameters for individual games because they’ll know the tendencies of each team and which types of plays to expect. The Telegraph introduced a new CMS earlier this year, designed to support live coverage. But Roboblogger has also helped boost the speed of live posts, Pelzer said. 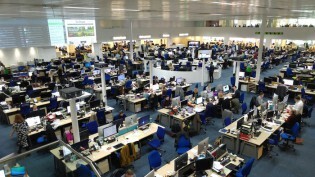 Often, the live blog is run by a journalist in the newsroom and the TV feed is a few seconds behind real-time, meaning that results come in from Roboblogger before they show up on TV. Photo by Jon Candy used under a Creative Commons license. POSTED June 10, 2016, 9:45 a.m.
Lichterman, Joseph. "The Telegraph is trying to streamline soccer live blogging with an automated graphic system." Nieman Journalism Lab. Nieman Foundation for Journalism at Harvard, 10 Jun. 2016. Web. 19 Apr. 2019. Lichterman, Joseph. 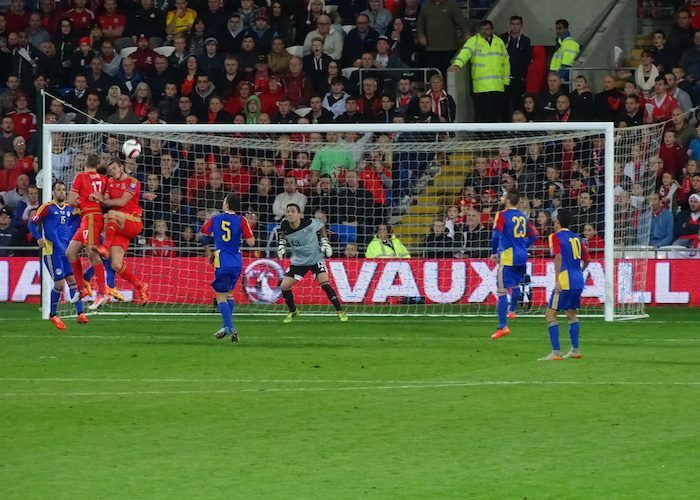 "The Telegraph is trying to streamline soccer live blogging with an automated graphic system." Nieman Journalism Lab. Last modified June 10, 2016. Accessed April 19, 2019. https://www.niemanlab.org/2016/06/the-telegraph-is-trying-to-streamline-soccer-live-blogging-with-an-automated-graphic-system/.